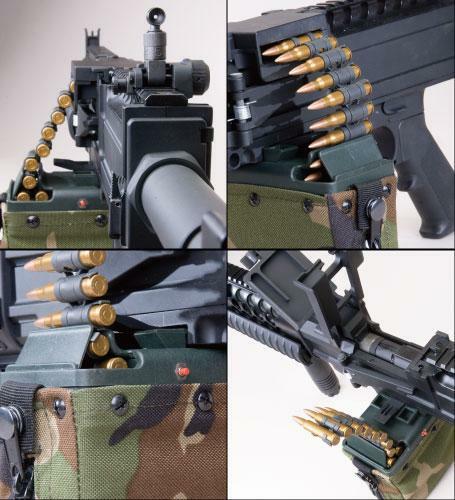 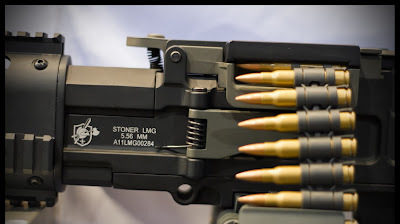 The Stoner LMG is a light machine gun system developed by Eugene Stoner and manufactured by Knight's Armament Company (KAC). 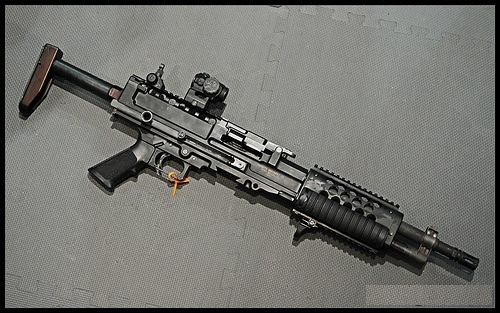 It is also known as the KAC Stoner 96 LMG to differentiate it from the earlier ArmaLite Stoner 63 LMG and Ares Stoner 86 LMG it is derived from. 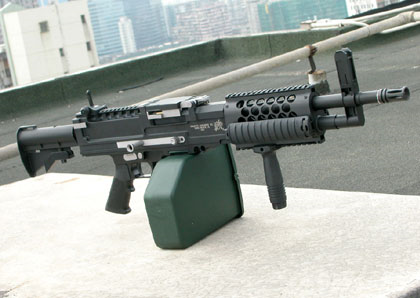 The Stoner LMG is billed by KAC as the lightest 5.56mm machine gun. 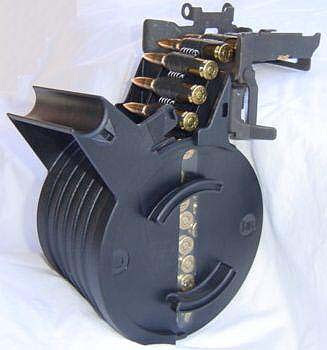 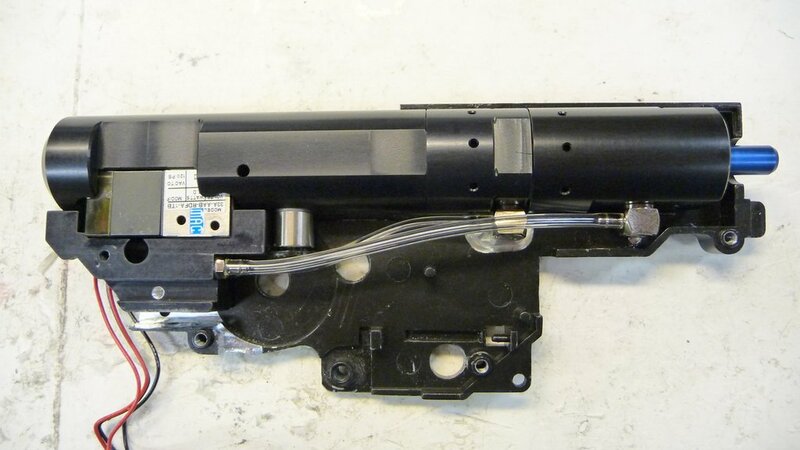 It weighs 10 pounds with magazine and has a length of 35.25 inches. 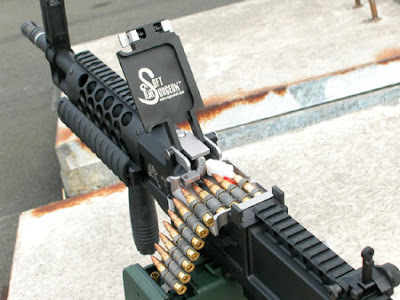 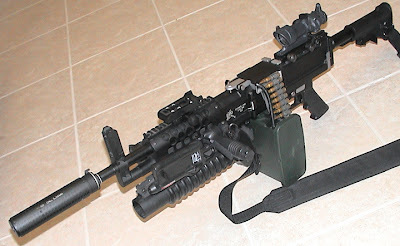 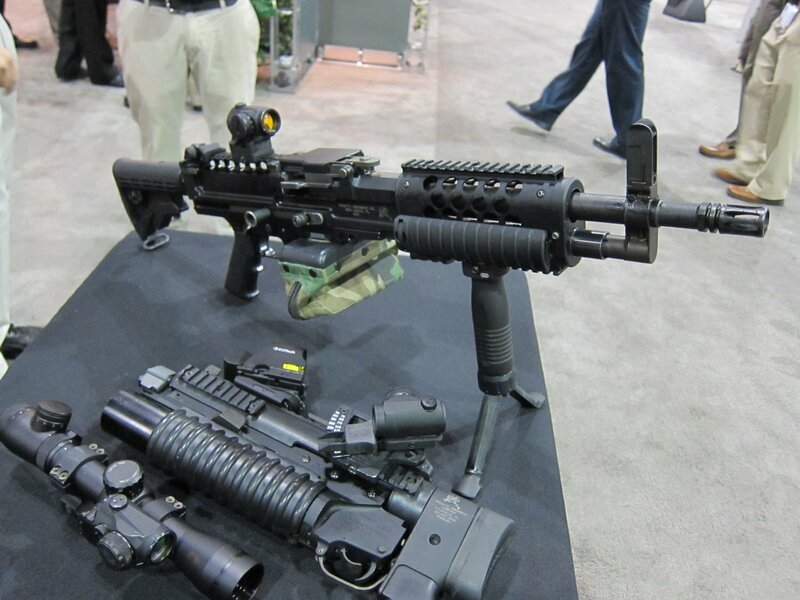 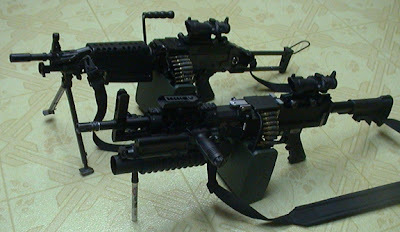 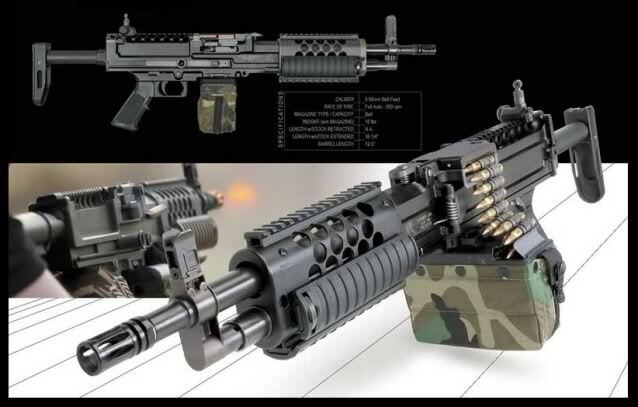 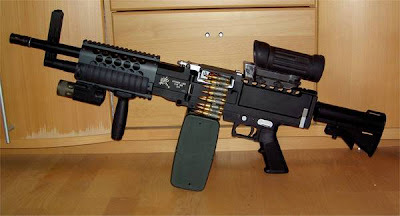 The Stoner LMG is belt-fed, gas operated, air-cooled, and fully automatic; firing at a rate of 550 rounds per minute. Stoner designed the weapon as a replacement for the Stoner 63. 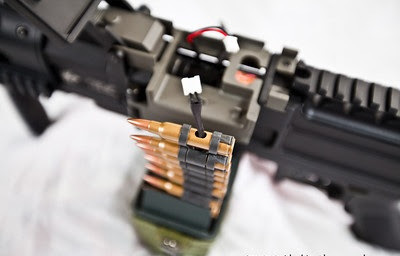 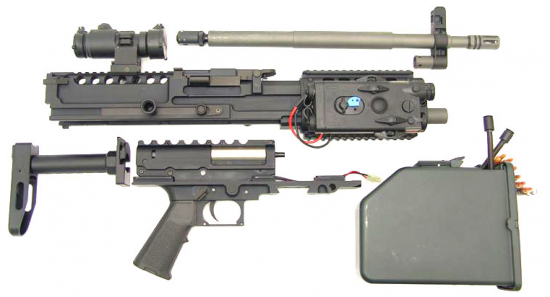 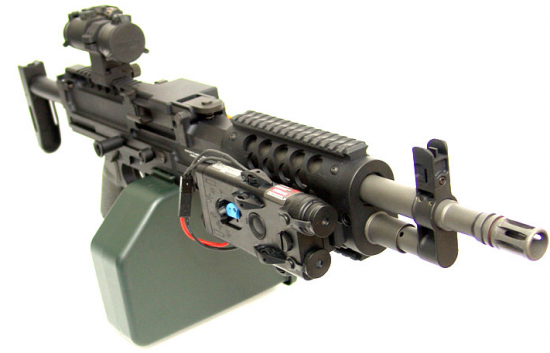 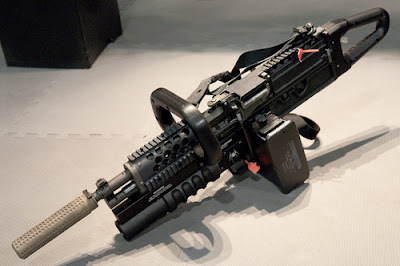 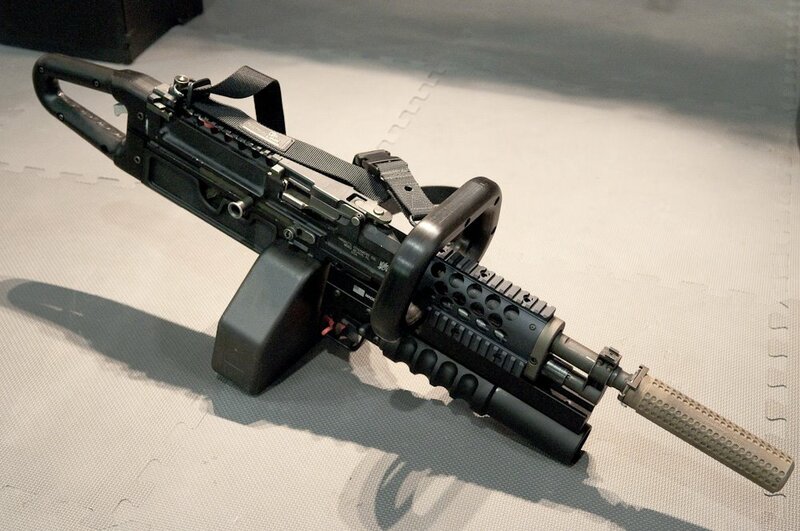 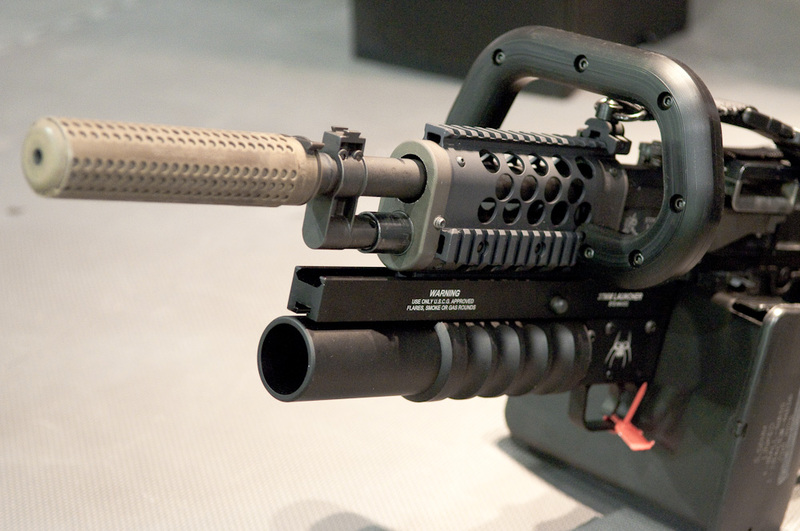 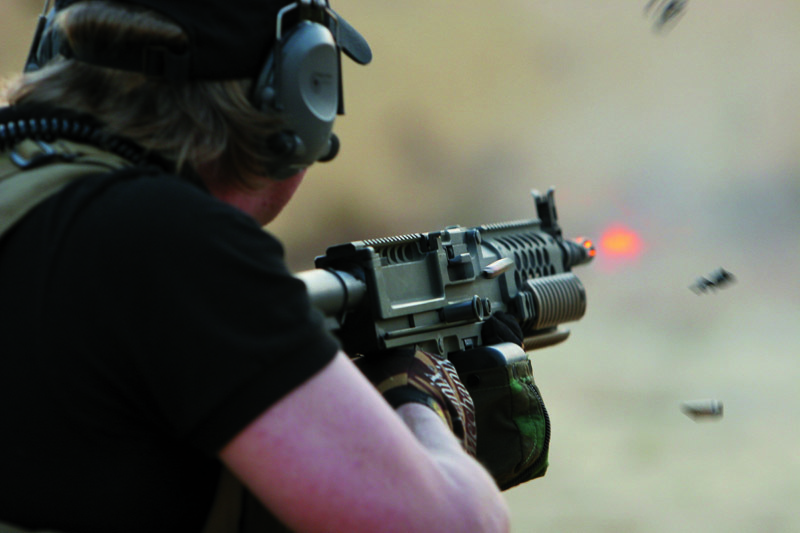 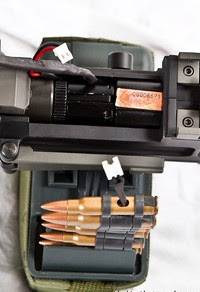 Neither weapons system gained much popularity as the FN Minimi would become the LMG adopted by the United States military, which dubbed the FN weapon the M249. 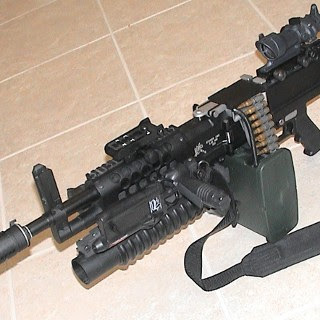 Currently, the weapon has seen only limited production which makes the Stoner LMG commonly used by private military contractors (PMC's) because of its compact size, weight.